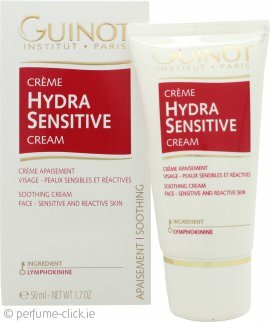 Started using this face cream with the Guinot ultra sensitive cleanser on the recommendation of a beautician after trying several serums, creams and even prescription cream after I had a very bad reaction. The difference this product has made is super. I use with Guinot ultra sensitive cleanser and Guinot newhite brightening UV shield factor 50. Highly recommend this to anyone with sensitive skin.